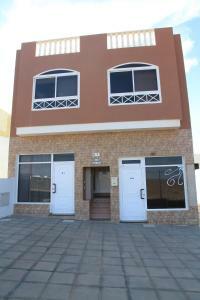 Address: El Faro, 7, Cotillo (Fuerteventura), Islas Canarias. Within 5 minutes’ walk of El Cotillo’s beaches, Apartamentos La Molina offers modern, well-equipped accommodation. Set on Fuerteventura’s north coast, El Cotillo is within 30 minutes’ drive of Corralejo and its port, where ferries leave for Lanzarote. Each apartment at Apartamentos La Molina has a living room with a sofa bed and a TV, and the kitchen includes a microwave, fridge, electric hob and a coffee maker. Shops and bars can be found in the streets surrounding the apartments. Lajares is 8 km away. Puerto del Rosario and Fuerteventura Airport can be reached in 50 minutes by car.